Leaked data is getting to journalists at a massive scale and they're too, using technology and big data techniques to expose wrongdoing and corruption, like in the Panama and Paradise Papers investigations. Involving 2.6 TB of data and 11.5 million documents, the Panama Papers was the largest amount of leak files and cross-border investigation in journalism history. For one year, more than 400 reporters across 80 countries dived into this massive trove of information that exposed how the offshore economy works. Leaked data is getting to journalists at a massive scale and they’re too, using technology and big data techniques to expose wrongdoing and corruption, like in the Panama and Paradise Papers investigations. 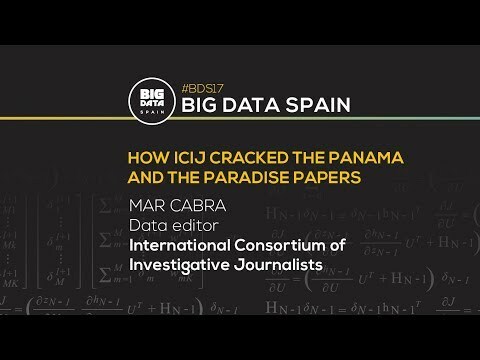 A member of the The International Consortium of Investigative Journalists will tell about how they have been able to decode the Panama Papers and the Paradise Papers and revealed the history’s biggest data leaks. Two leaks with terabytes of data that exposed how offshore finance works rocked the world after a group of about 400 journalists investigated their contents. Published in April 2016, the Panama Papers had an unprecedented impact with high-level resignations and at least 150 investigations open in 79 countries. The exposé also received the highest recognition in journalism, the Pulitzer Prize, among more than a dozen other awards. Following its trail, the Paradise Papers just broke on November 5. Technology made both investigations possible, thanks to the work of the data team at the International Consortium of Investigative Journalist. ICIJ’s data editor will explain how they processed four terabytes of information and made 25 million files available in the cloud to reporters around the world using open-source software, such as Apache Solr, Neo4j or Talend.